My Daughter Died From an Overdose. I’m Sharing Her Story to Help Others. My Daughter Died From an Overdose. I’m Sharing Her Story to Help Others. My Daughter Died From an Overdose. I’m Sharing Her Story to Help Others. My 20-year-old daughter Casey said these words to me not long before she died of an accidental heroin overdose on January 15, 2017. About a week later, in our home — in the same room where we had tea parties and bedtime stories, slumber parties and mother-daughter nights with snapchats and long talks — she overdosed. Now seven months later, as I walk through that room every day, memories of a little girl dancing with her younger brother and snuggling with her dog are overshadowed by images of CPR and tears. Casey overdosed sitting next to her packed suitcase. She was supposed to leave for rehab the next day. She wanted to try again, to make a better life, to live. She had hope. I had hope. Six days later it was over. She died in the hospital. The same hospital where I work as a radiology technician. It was time for me to keep my promise, to fulfill Casey’s last wish, and write her obituary with the transparency that we had discussed. Casey’s obituary went viral. Strangers lined up at the funeral home to pay their respects. Messages of love and support and gratitude poured in. Casey’s story was featured in major newspapers, blogs, magazines, news stories and websites across the world. There have now been thousands of comments and messages sent to me through social media in response to Casey’s obituary. People addicted themselves, families struggling with a loved one’s addiction and many others said they were touched, inspired, and comforted by Casey’s story. They talked of the connection they felt to us and thanked Casey for being a voice for those with addiction. And they thanked me for being a voice for the thousands of families affected. I was already humbled and touched by the outpouring of support from around the world, and then I received a call from Washington, D.C.
“Casey’s story has reached the White House, and we are listening,” said the person from the Executive Office of National Drug Control Policy.” Wow. Hearing this was overwhelming and an honor. But the true honor was in the words of the messages I received. From families who have someone struggling or have already lost a child; People struggling who have lost friends; Teachers who brought Casey’s obituary to class; Counselors who keep it in their office; Doctors who have shared it with colleagues when discussing the epidemic; and Recovery groups who have it hanging in their meeting places. These are the messages that brought me to tears. I answered every one of them. These were the messages that let me know that what started as a promise between a mother and daughter, turned into a legacy. We couldn’t have ever imagined her obituary would go viral, reaching people across the world. Casey talked about helping just one person but it turned out she helped so many. I hope she knows her wish came true. I struggled for years with Casey: the sleepless nights, rehabs, relapses, the fear of that phone call. Like most mothers whose child struggles with addiction, I had already imagined my daughter’s funeral in my head. I hit a point where as much as I hated it, I realized I couldn’t save my daughter. I could only love her, encourage her, be there for her and support and pray she would find the strength to save herself. I had to do the hardest thing for a parent to do: step back a little, accept that I was helpless and that I couldn’t control the madness and pain she was going through, and accept the painful reality while fearing every minute that it could end in the worst way. Unfortunately, it did. Before she passed, I laid awake every night wondering, Am I doing too much? Am I not doing enough? Give tough love or just love today? Now I lay awake at night questioning the choices I made. Same questions but, tragically, past tense now. Did I do too much? Did I not do enough? If love alone could have saved her, she never would have died. Casey was maybe guilty of some bad choices. But who among us is innocent of this? Once the disease stepped in, her choices weren’t all hers anymore. Addiction made choices for her. She tried, she fought, she struggled and a higher power finally said enough is enough and took her away from it all, but sadly away from us at the same time. Our favorite saying was, “Everything happens for a reason.” I have a hard time accepting that now. What reason could there be for her to die so young and so tragically? Maybe this is it. Maybe it’s true when they say “Some people have to die so that others can live.” Another hard quote to accept, but maybe that gives meaning to my heartache. Maybe that’s why her story traveled so far and touched so many — so that others can live. My daughter died, but my journey with her and this demon is still here, just in a different form now. Now I live with the memories, good and bad, the regrets and what-ifs, all the future milestones that she dreamed of that will never happen, all the things she has missed already, all the days that she was supposed to have. Her future was supposed to happen, she was supposed to argue with me over future wedding plans, she was supposed to bring her babies to visit and call me and say things like, “Mom the baby is crying. What should I do?” She was supposed to have more laughs with friends and memories with her brother and family. She was supposed to debate with people on Facebook and tag me all day long on deep quotes and funny memes. She was supposed to have more mother-daughter days, singing with me in the car. I could go on and on with all the little and big things every day that hit me that Casey was supposed to do. She was supposed to grow old, supposed to live longer than 20 years 8 months and 60 seconds. She was supposed to bury me. So where do I go from here? I have to believe maybe this is what she was actually supposed to do. This is what I am supposed to do. This is the “reason” — to speak out about Casey’s struggles and death. Tell her story. Maybe putting it all out there and possibly saving another is the legacy of her life that needs to be fulfilled. Losing Casey was devastating and life changing and a piece of me died with her, but I can’t and won’t live in shame. I was proud of my daughter, no matter what. Relapses and mistakes didn’t change that, because she always picked herself up and tried again. I was so proud of her bravery and her openness about her disease. I will honor her strength, even in death. I will continue to tell Casey’s story, spread her message to families and others struggling with an addiction, that they are not alone. I will do my best to bring awareness and break the stigma. If just one person read her obituary or her story and was touched by it or connected to it, then Casey and others will not have died in vain. All those who have read it or reached out to me are now part of Casey’s story. Her story and the stories of others lost don’t have to end with their death. They can still reach those who are still here and maybe make someone else’s journey a little easier and possibly even the happy ending that they craved so badly. Every family and every addict has their own journey, and while there are differences, they’re all a result of the same merciless disease. When you love a person in the grips of addiction, we have to make choices, hard choices, on how we deal with our individual situations. Others will do it differently, but we’re all in this together. Reach out. Get Help. Speak up. Whether you have someone you love who is struggling or have already lost them, you’re not alone. You have others around you who have walked the same path. Reach out to them. Get Help. If somehow you haven’t been touched by addiction yet, you will be. Get educated; knowledge can be a strong weapon. It’s time to give this epidemic the attention it needs or else it will continue to devastate and destroy our families and communities. Race, wealth, religion, none of it matters because addiction doesn’t discriminate. If it’s not already in your home, then it’s likely at your back door. Casey was smart, fun, full of life with an amazing sense of humor, always put others before herself, had a strong home and family, and it took her as quickly as any other. She wasn’t just a number when she died — she was a daughter, sister, niece, cousin, friend, and a person who was loved. This is the way I am handling my grief of losing my daughter, my baby girl. So I’ll speak when asked, help whenever I can, and try to be strong as I play out my role in this club that nobody ever wants to join. It hasn’t gotten easier with time, time does not heal all wounds, but I’ll get out of bed every day, even when I don’t want to, and live. Sometimes it’s not about one day at a time, it’s about one hour, one minute, one breath at a time. I may not win this war, but I’ll go down fighting just like Casey and many others have. We lost my brother October 1st 2017 at the age of 36. To heroin. He fought his demon for many years before it took his life. We were all at the hospital that fateful night my parents had to make the call in front of his heart broken children to stop CPR and stop bringing him back. He had overdosed and been brain dead for to long. We still struggle on a regular basis.as he leaves behind 6 wonderful children that reflect him so much. Life without him will never be the same and he was the baby of the family so to us it just isn’t fare. The baby should not have gone first but he did. Its a hard pill to swallow many days so I know exactly how you feel. I also buried my daughter December 8, after a heroin overdose. She was found unresponsive November 22, in a Gas Station bathroom. She leaves behind 3 children. Two were already in my care,and the third is now in the foster care system. She struggled off and on for 15 years. In the end the drug took over. I hate what this disease does to the addict and to those who love the Addict. Like others I wonder what else I could have done, did I do too much, would it have made a difference? I don’t know. The only good thing that came out of her overdose, is that I found out she had accepted Jesus as her personal Savior. Her Pastor was at the Hospital and told us her story. I did not even know she was going to church. I had been praying for 15 years for her salvation and always wondered why my prayers were not being answered. Little did I realize, God had a plan. Thanks be to God, my daughter is no longer in pain. She is a peace and living with Jesus in Heaven. I still grief for my loss and for the life she could have lived, but I know I will see her again and this time there will be no more tears. Only Joy. 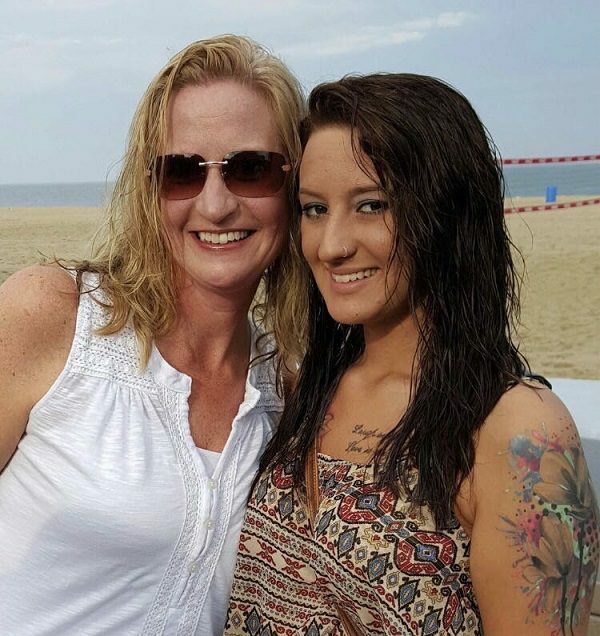 I just lost my daughter who also struggled with addiction. She was found monday December 3. 2018 and was laid yo rest Saturday December 8th. I am overwhelmed with quilt from the nightmare of addiction. I also tried love. Tough love and everything else. She left behind 3 children that the father and stepmother is taking care of. I couldn’t take them, i was trying to help my daughter. She had her addiction and my addiction became trying to help her. She overdosed 5 times and i too thought about her funeral. But oh it hurts when it happens. I just pray she knew how much i loved her. This momma is crushed. I also want to help others with this terrible disease any way I can.